Counting of pre-poll and postal ballots started after 6pm on Wednesday in the presence of multi-national observers and party agents with the Police providing tight security. Agents of each political party were also allowed into the counting centre to verify the process and raise queries. The first part of the process involved verifying the seals on ballot boxes before they were cut open with the party agents also getting a chance to verify them. Then the pre-poll votes that were in the secret envelopes were carefully opened and then sorted out according to the numbers crossed, circled or ticked. The ballot papers were placed in number ranges according to the numbers listed in the ballot papers starting from 135 up to 384. 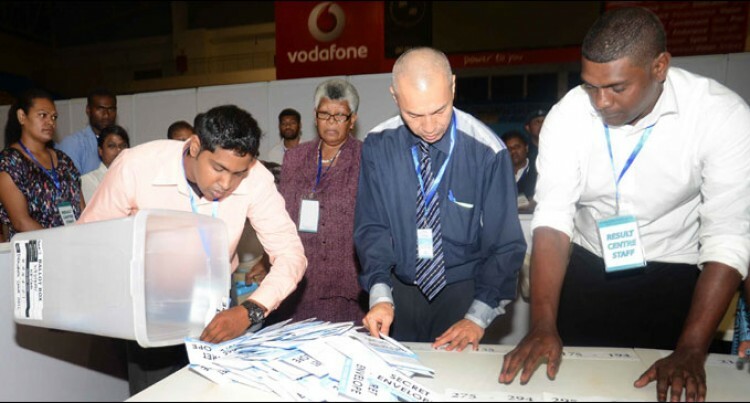 There were columns for invalid votes as well which presiding officers and the officials were also verifying to ensure that they were invalid ballots. Multinational observers co-leader Peter Reith assured that everything went well and they expected that all the remaining tasks would continue without setbacks.